It is advised that users recycle their old hearing aid batteries rather than throwing them away, due to the amounts of zinc they contain. In some instances, discarding old hearing aid batteries in your trash is seen as improper disposal of hazardous waste. Fortunately, finding a location where you can properly dispose of your batteries is easy! 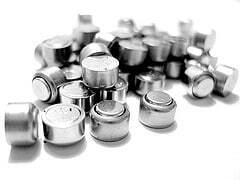 Bring your old hearing aid batteries to San Francisco Audiology and let us recycle them for you! Questions? Give us a call at (415) 362-2901.